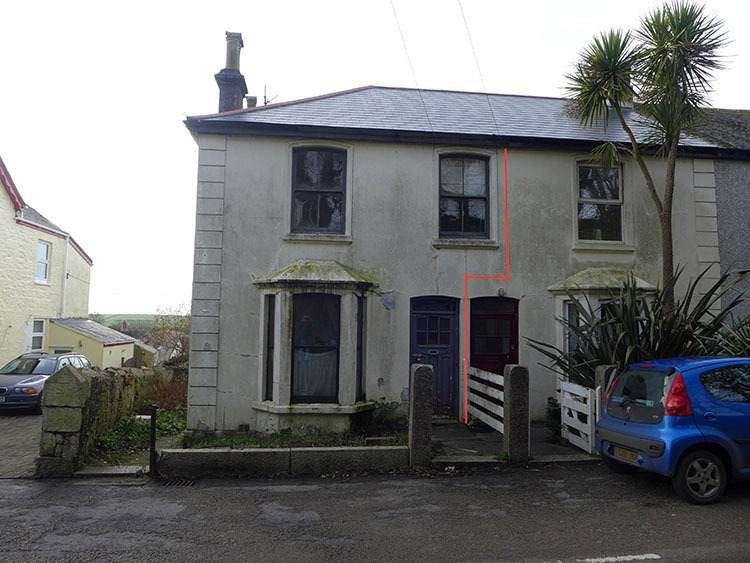 Can a Cottage in Helston Be Purchased in 3 Days? The selling client was a family who had inherited the Helston property but with a long list of probate complications that delayed their authority to sell. This meant the property lay vacant for some 20+ years and the local estate agents recommended to sell by auction. The property failed to sell by auction and more costs were incurred. The family contacted us knowing we buy any home in any condition and put us to the test, to see if we really do buy any home fast for cash in Helston. The property was non-standard construction otherwise known as non traditional housing. In this case it was built of Mundic Block construction with a grade C survey suggesting the property was at significant risk of structural collapse with serious structural cracking. Evidence of both wet rot and dry rot rendered some rooms unsafe to access, in addition the property had a flying freehold to the front hallway. 365 Property Buyer offered and completed the sale in 3 days, which included carrying out the registration of an unregistered title. Mundic Blocks were produced before 1950 in the South West of England from waste rock worked from mining, quarrying and limitless supplies of beach gravel. The mined waste rock was a coarse aggregate with a finer mix of aggregates produced from unwashed beach sand, china clay slag waste or mining processing residue. The production of mundic blocks using these materials took place from the turn of the twentieth century until the 1950s when mass production of widespread concrete blocks became common. This did not fully eradicate the use of local materials in block, mass concrete construction and foundation construction until the early 1960s. This Helston Cottage sold in 3 days, If you are looking for a quick house sale, give us a call on 0800 019 7031 or get in touch.